For 30 years the SR has given bass players a modern alternative. Embraced by bassists over the decades, the iconic series continues to excite with its smooth, fast neck, lightweight body and perfectly matched electronics. 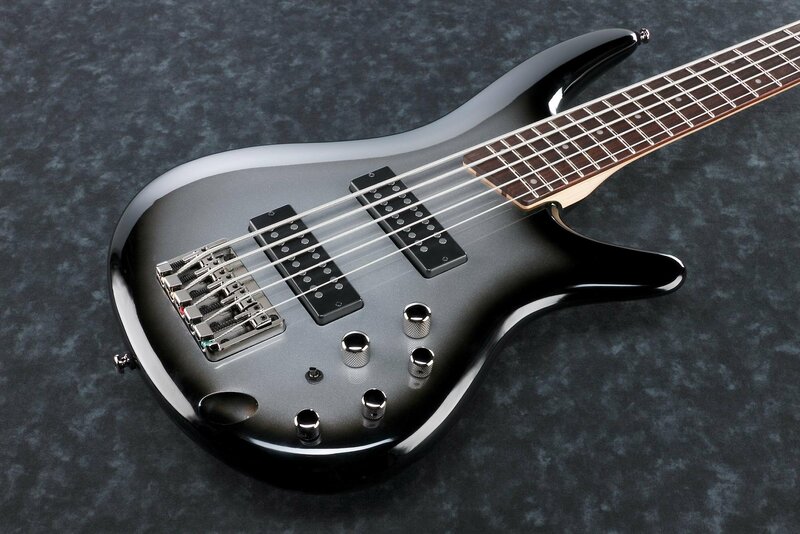 The SR305E is a handsome 5-string bass designed for the experienced player. The bass starts with an immaculately finished Nyatoh body. Other features include a sturdy 5-piece Maple / Walnut SR4 neck, a Jatoba Fingerboard, and an Accu-cast B125 bridge for superior string vibration transfer and precise intonation. Cosmo Black hardware adds a hint of stealth. At the heart of the SR305E's electronics are two PowerSpan Dual Coil pickups. Their stainless pole pieces offer higher output, clarity, and fullness than any in the SR305's class. Accessed by the 3-way "Power Tap" switch, these proprietary pickups offer a choice of three tonal personalities: A rich humbucker sound, a pure single-coil sound, or an enhanced single coil sound; fattened by lows from the humbucker pickups. Add the ability to dial in precise tone preferences via the Ibanez Custom 3-band EQ, and the SR305E is a musical chameleon.